Knee surgery last fall had me thinking about pain, true tolerance, and why so many Americans are bent on being anesthetized. The Institute of Medicine states 100 million Americans suffer from some kind of pain at a cost of $635 billion a year. As ABC News reported January of 2012, 80 percent of the world’s pain meds are consumed in the good old U.S. of A., with synthetic Opioids just recently bumped by the FDA from Schedule 3 to the number two list. Cannabis, of course, is still listed with Heroin on Schedule 1. Noted is an increased life expectancy with a soft, sedentary lifestyle and cancers as the cause of our need to be numbed. But why are Americans suffering so; or are we really in this much pain? The story of Aspirin is simple, but important, as it shows the lineage of plants to medicine to market. Today, the average arthritis suffer pops from a list of meds originally designed for end of life care, often associated with accidental death, organ failure, and other side effects too lengthy to list – numbing much more than the area affected, and increasing the level of pain in the long run when attempting to detox. Aspirin sufficed until 1953 when Acetaminophen, the active ingredient in Tylenol, was marketed, soon followed by nonsteroidal anti-inflammatory drugs or NSAIDs, opening the door into the 1960s for more brands in pain management than I can list here. Our bodies are biologically the same, why the increase in pain medication? In the film “Love and Other Drugs” big pharma reps are taught to suggest drugs for other than originally developed uses, such as, anti-depressants for pain or sleep. In my mind, this demonstrates how marketing and profits have surpassed true need or even moral ground when it comes to medicating the masses. The synthetic concoctions the pharmaceutical industry whips up come with side-effects equaling an entire additional ailment, with lists as long as a novel. For all the talk of lack of trials on Cannabis, the trials for most pharmaceuticals are short, often just six months to a year on small groups with a limited focus. For example, the highly addictive drug Soma prescribed to treat chronic pain is also often prescribed for other symptoms, such as insomnia. Trials lasted just six months more than 20 years ago with a warning it shouldn’t be taken more than a year, as the severe negative side effects start piling up. Advertising has been reduced to a nagging negative influence, with billions spent convincing us to buy empty, sub-standard products we don’t really need, while polluting our environment and poisoning every living thing. Would you like a seizure with that? After deciding to continue the trials begun with my breast cancer scare, the first synthetic elimination from my medicine cabinet was the Valium typically needed for pre-medical procedure phobias. Two doses of light oil, “Nternal,” made in the Bay area of California prior to surgery were all that was needed to calm me. Completely relaxed without being wasted (valium is given to rehab patients in recovery and mimics alcohol); I was in charge of my own dose and kept the bottle with me up until I was put under. Nurses and attending staff were fascinated by my choice, and I was happy to lead by example. After surgery I was offered Vicodin, the number one hit on the top ten pain numbing chart. Already under the influence of the anesthesia, I’d be adding this other pain killer to the mix, further lowering my heart rate, causing me to feel light-headed, be further constipated, possible seizure, problems with urination, stomach pain, itching, jaundice… the list goes on. After surgery I continued taking the oil – one to two droppers full every one to two hours was all that was needed for breakthrough pain. And being a natural non-inflammatory and anti-infection medication, there was no swelling to speak of from day two post-surgery and no fear of infection. At night I continued using Rick Simpson Oil (RSO), giving me a good night’s sleep, allowing me to wake up without swelling, stiffness or pain. I also continued my daily regimen of ingesting raw leaves daily in a green drink during the day – a treatment began with my cancer scare a few months prior to surgery – easing constipation caused from the anesthesia. If it’s your first time ingesting a concentrated Cannabis medicine, you will want to start with a small amount, wait an hour, then take more, as needed. The strong medicine allows you to sleep so your body will heal. And you cannot overdose, for Cannabis does not stop your heart, as do most prescription pain meds. Had I opted for the Vicodin post-surgery, the outcome would have been much different. I would have been swollen longer, constipated for sure, completely wasted the first several days, with no appetite to speak of, and my immune system would have been challenged at a time when my body needs it the most. After taking the highly addictive pharmaceuticals for the required amount of time – one to two tablets suggested up to four times a day, up to two months post-surgery, chances are I might have wanted more. This seems to be a given, as you can’t search for Vicodin online without finding withdrawal information at its side. A docudrama on television tells the story of a young woman who went from being an injured college athlete on full scholarship, to turning tricks in a Motel for Heroin when her health insurance and subsequent OxyContin prescriptions dried up. Did she begin her pain management with the Oxy? No, she started with Vicodin – gateway drug to Heroin. In CNN’s ground-breaking documentary, “Weeds,” Dr. Sanjay Gupta shares prescription pain meds take someone’s life every 19 minutes in this country, yet he said he could not find one documented death by Cannabis. The Center for Disease Control (CDC) reports prescription drug overdose is the leading cause of injury death, tallying more traffic deaths with more drivers under the influence of big pharma behind the wheel. Among children under the age of six, the CDC reports a whopping 40 percent presenting to the ER poisoned by prescription meds. As a species, humans aren’t the sharpest tool in the shed. We put things in our mouths before fully realizing dangers. We put things in our mouths when we know something is dangerous – and if it tastes good or feels good, we keep on doing it. With legalization spreading like wildfire across the country in my lifetime, it seems that public perception may be turning around sooner than later on Cannabis as good medicine. Hopefully, it will at least open the doors for real research, and more real medicine being made with proper dosing figured out. While the rest of America quells the daily pain of living through the colored glasses of modern medicine, I’ll continue to use the green, and encourage others to do the same. Writer and Producer Sharon Letts began her life’s work at age of 24 as a flower gardener in Southern California. Gardening turned to media, when she was asked to produce and host a visiting gardening show, In and Out of the Garden, for local television. She then went on to executive produce, Off the Beaten Path, a travelogue in California for PBS. After working as a field and segment producer for documentary and magazine shows for television in Los Angeles, Sharon was brought up to Humboldt County to produce a news show. While working in media in the cannabis capital of the world, Sharon presented with Lobular Carcinoma (breast cancer). Due to her location, she was given cannabis oil, successfully putting the cancer into remission, while simultaneously doing away with up to 10 prescription medications and supplements. To date, Sharon has covered six states and three countries on cannabis as medicine; writing internationally for many publications. Her many patient profiles include cover features on celebrities, Tommy Chong, Willie Nelson, and Melissa Etheridge. 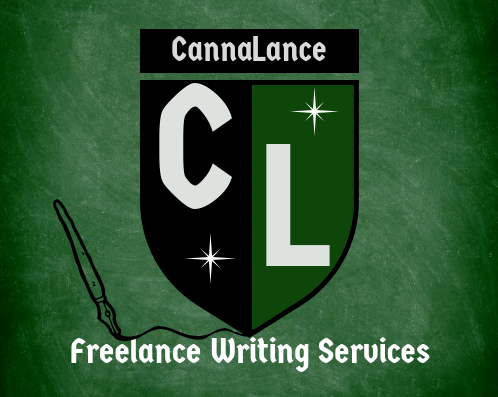 She has published two works of fiction, and has just finished a screenplay from her book Cannaopolis, inspired by her time in Humboldt County; and is currently developing and pitching intelligent magazine, reality and documentary shows for TV on the subject.